Drinking alcohol has been the drug of choice of many for years. Alcohol is inexpensive, can alter your mood quickly, and can also relax you. It is also deadly and contributes to more fatal accidents than other drugs. Alcohol will also destroy your liver if you drink enough. A much better alternative is cannabis. You can’t overdose on it and it doesn’t have lethal side effects. Alcohol is deadly if consumed in large enough quantities. It is toxic and if you drink enough of it, you are going to end up with permanent liver damage. Drinking too much damages your heart and increases your blood pressure. Another thing that can happen if you drink is that your risk of mouth, throat, and colon cancer go up. Not to mention your risk of getting into a serious accident goes way up. Smoking pot is a much better alternative. It is safe, you can’t die from smoking it, and it has many different health benefits that can make you a healthier person. Smoking marijuana is a great way to relax. It decreases anxiety and improves your mood when you smoke it. You can feel your stress melt away when you smoke pot. You can also smoke pot as a natural pain reliever. 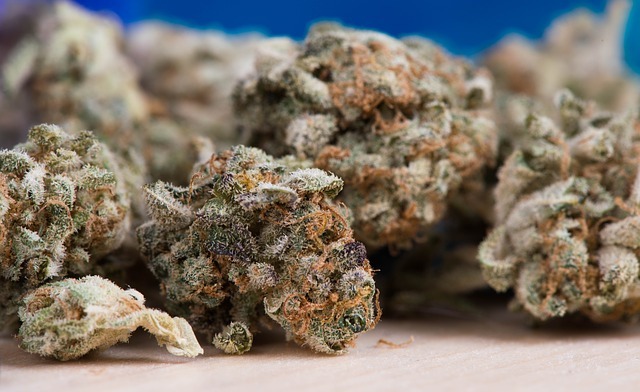 Pain medication has negative side effects, but there are no side effects to smoking pot. It is effective on chronic pain and works on all types of pain, including headaches and back pain. Smoking pot also reduces painful muscle spasms which makes it especially helpful for people with chronic back discomfort. Smoking pot is a useful tool if you have cancer. Smoking pot regularly with help you deal with the side effects of chemotherapy. You won’t get nauseous and you won’t lose your appetite. You won’t feel as much pain from the chemotherapy either. It can also prevent your cancer from spreading and some studies suggest it can even kill cancer cells. Marijuana has positive effects on your brain. It increases creativity and helps you to see things in new ways. Smoking pot increases verbal skills as well. When you smoke pot, dopamine is released in your brain which is relaxing and removes inhibitions which allow you think more freely. It also has a protective effect on the brain which can decrease your risk of getting Alzheimer’s disease and slow the disease down if you have it. While many people think that smoking pot leads to obesity because it makes you hungry, the opposite is actually true. Smoking pot makes your metabolism healthier which helps you burn more calories even though you are eating more. Your body will have a healthier response to eating sugar and you won’t gain weight. 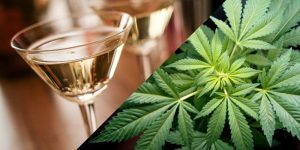 Pot is a much healthier alternative to alcohol and it not only relaxes you, but it also has positive effects on your health while reducing pain. Pot is much safer than alcohol and no one has ever died from smoking too much pot. Previous PostPrevious What Are Some Of The Most Popular Types Of Marijuana? Next PostNext In Which States Is Marijuana Legal?